We all need a little help to recover after a strenuous exercise. It is important to supplement all vital nutrients lost during training. NAF has developed RECOVER, a powerful, natural antioxidant formula, intended to accelerate the recovery of the horse's muscles after hard work. Ideal after competition or consecutive periods of intense or strenuous exercises. 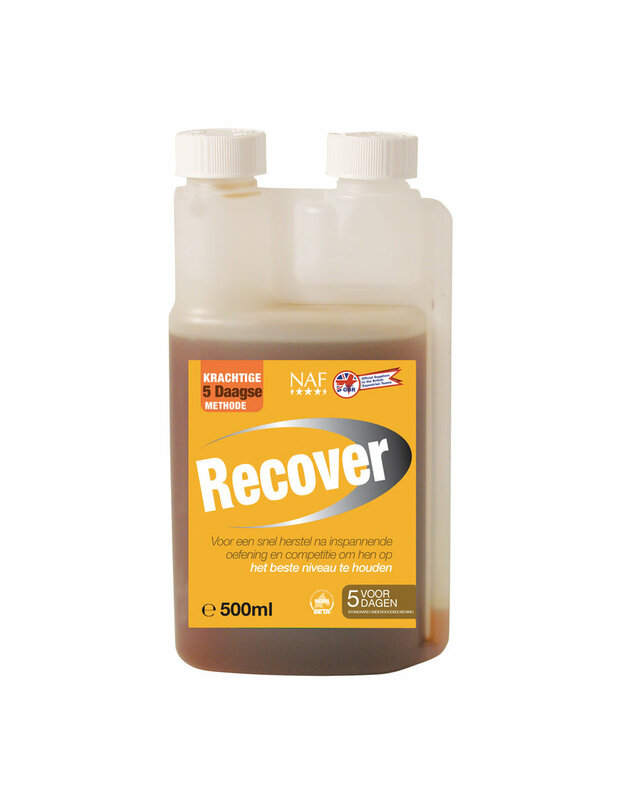 Recover helps with the natural recovery process of the horse and relaxes the muscles. In this way it contributes to mobility. The enthusiasm and athletic potential of the horse are maintained. Feed it for 5 consecutive days and you will find that your horse is in top condition and ready for the next challenge.